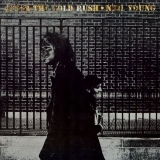 "There must be some kind of way out of here, Said the joker to the thief"
After The Gold Rush (this album) (1970), Decade (compilation) (1977), The Archives Vol. 1 1963-1972 (compilation) (2009), The Archives Vol. 1 1963-1972 (compilation) (2009). Showing latest 5 ratings for this track. | Show all 221 ratings for this track. My favourite track of the second half of this album.